We at Wareable are huge fans of TomTom's golf watch - check out our 4.5 star review - and so we can't wait to get the all new TomTom Golfer Premium slapped on our wrist. The Premium comes with a flashy new Italian leather strap but takes the feature set from the original. So that's hole data for over 40,000 courses (with daily updates via an app) with details such as distance to the pin, front and back of the green, to hazards and to lay-ups, all on offer in real-time when out on the course. There's also a new trolly mount on offer and, to complete the stylish update, a ball marker that attaches directly to the new strap. Unlike the top-end Garmin S6 there is no colour display on TomTom's Golfer, although the 1.3-inch, 168 x 144, monochrome screen does offer course graphics and a green view mode for checking out the position of the flag. There's also score recording, shot measuring and info on the duration of your round and the calories you've burned during your round. 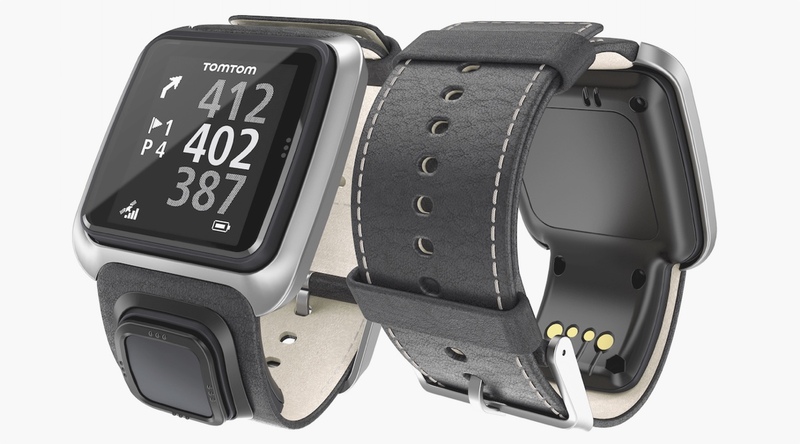 With a 10 hour battery life, the TomTom Golfer Premium should have enough power for a 36 hole competition. The new edition weighs the same as the rubber strapped original at 53g and, with a price tag of $299.99, the TomTom Golfer Premium costs the same as what its less-posh brethren went on sale for. The original Golfer has seen its RRP slashed, as a result - you can pick it up for $199.99.